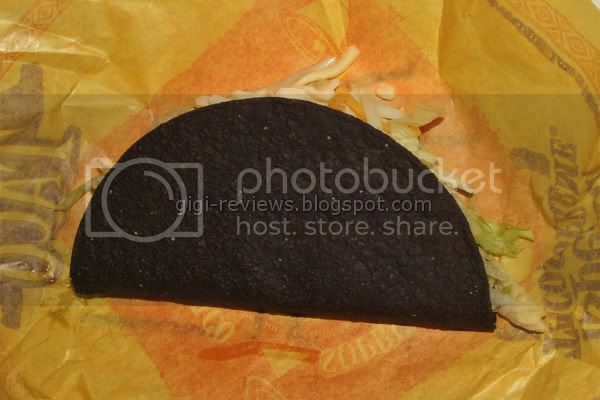 I may be the last reviewer on the planet who hasn't reviewed the new Black Jack taco from Taco Bell. 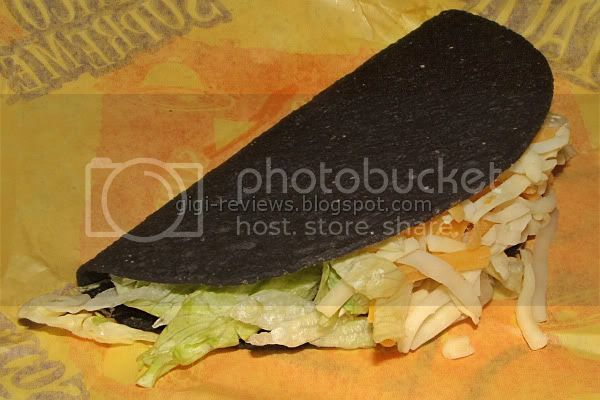 The Black Jack taco is pretty much a regular Taco Bell taco, but in a black shell. 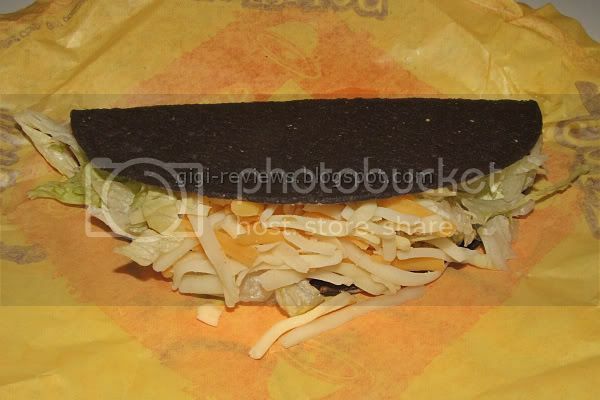 It's topped with the standard issue iceberg lettuce and shredded American cheese, topped with a "pepper jack sauce." Well, that last sounded awfully familar...and I confirmed with the Taco Bell staff that the "pepper jack sauce" doubles as the "Baja sauce" used on the Baja Gorditas. But I happen to like the Baja sauce, so that was a good thing as far as I am concerned. So how did taste? Honestly, it tasted like a Taco Bell taco with Baja sauce. Beyond the cool color of the shell, there's nothing here that isn't already on the standard menu. The meat has that slightly spicy, soft texture that Taco bell is known for. The Baja sauce -- sorry, pepper jack sauce -- is good for what it is. It's creamy, a little zesty. It certainly isn't very spicy, nor very cheesy. But it's decent as a mass-produced condiment.